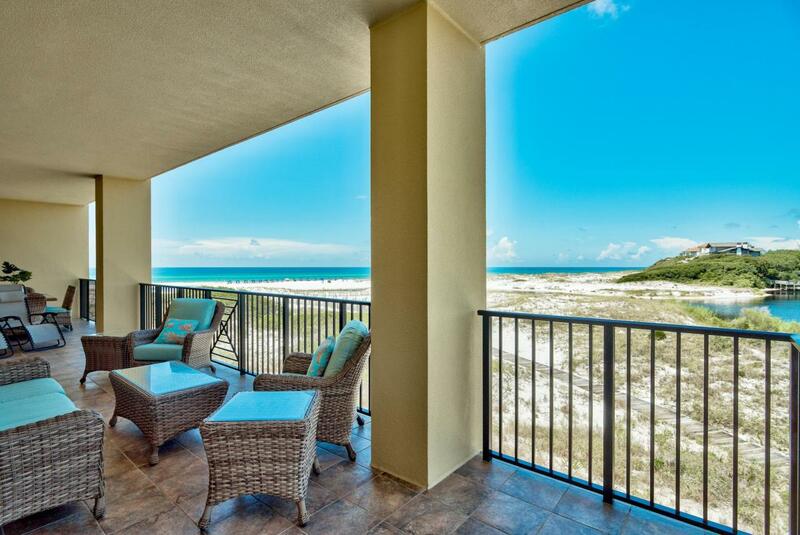 Glorious and Rare Gulf Front and Lake Front views from the balcony of this unit...what a rare find on Highway 30A!! This 4003 square foot home at Sanctuary by the Sea has five bedrooms, four & one half baths, and 460 sq ft of balcony. 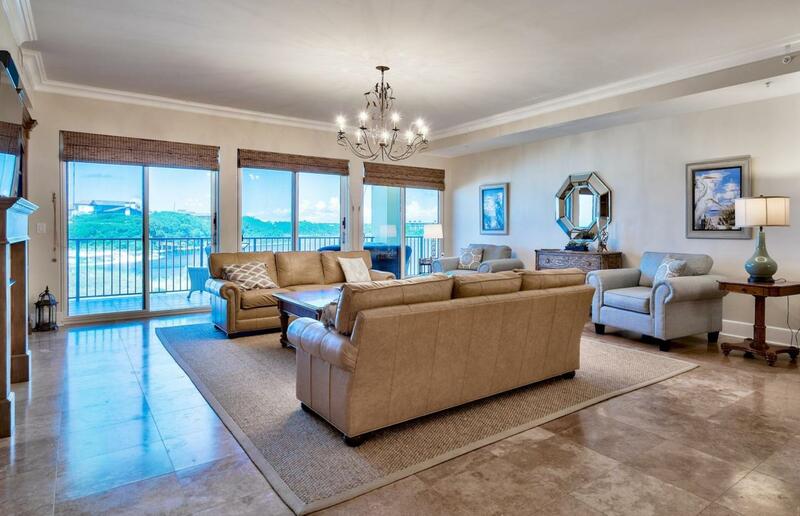 This unique floor plan offers two luxurious gulf front master bedroom suites with entrance onto the balcony. 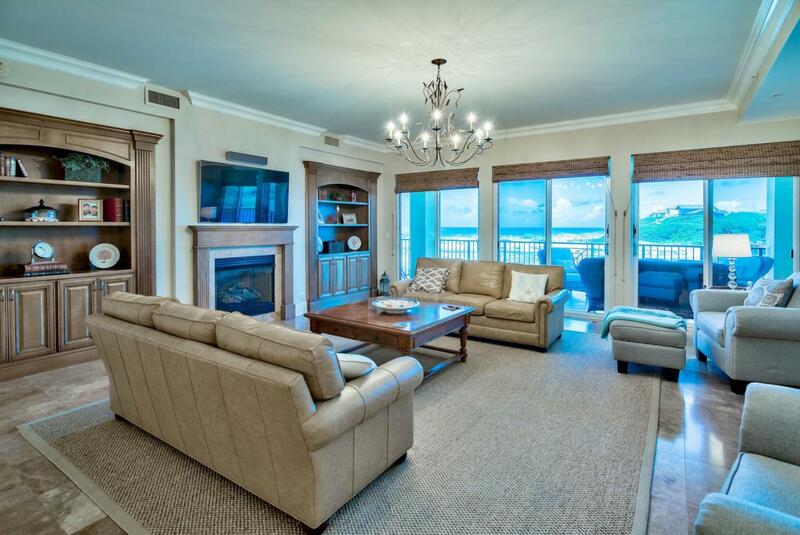 No feature is overlooked in this beautiful condominium residence. 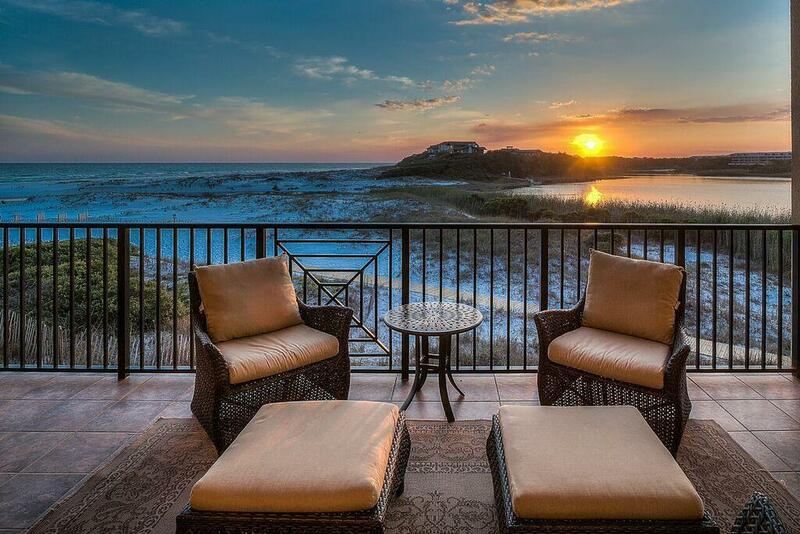 The home is fully furnished and provides great access to the gulf-side pool, Redfish Lake, and two dune walkovers. Call today to schedule your private appointment to view this lovely condo!